After you Select Network you should see something like this in Panther and Tiger. If you have an Airport Card, or internal Modem, or Firewire to another Mac or even BlueTooth these will be listed as well in the list under the Drop downs. You can see that there are two drop downs. 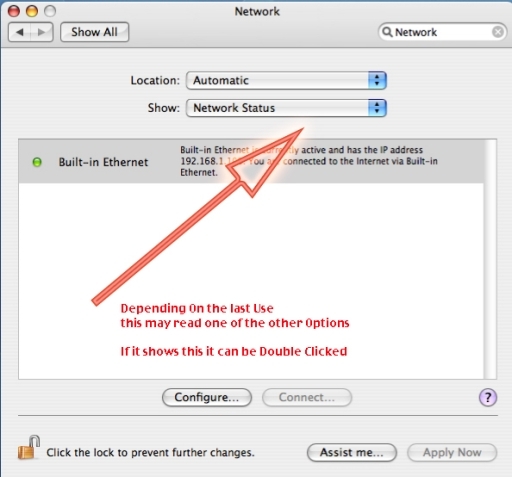 The first is mainly for when you move your Mac about between different Networks (locations) for which you can change the settings and store different settings for those different locations. What we are concerned about here is looking at the actual settings that are controlled in the second drop down.